Preview Night at San Diego Comic-Con is typically about visiting the SDCC Exhibit Hall, seeing everything before general attendees do.Savvy veterans use this opportunity to get their hands on the latest exclusives (which is still difficult to do, but that’ll be a story for another time), but for smaller publications like us, it’s a chance to get some hands-on time with the latest unreleased video games. 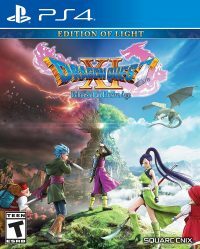 Dragon Quest XI marks the main series’ first foray in the HD era in the United States as previous versions like Dragon Quest IX graced the Nintendo DS and the online-only Dragon Quest X was only available overseas. 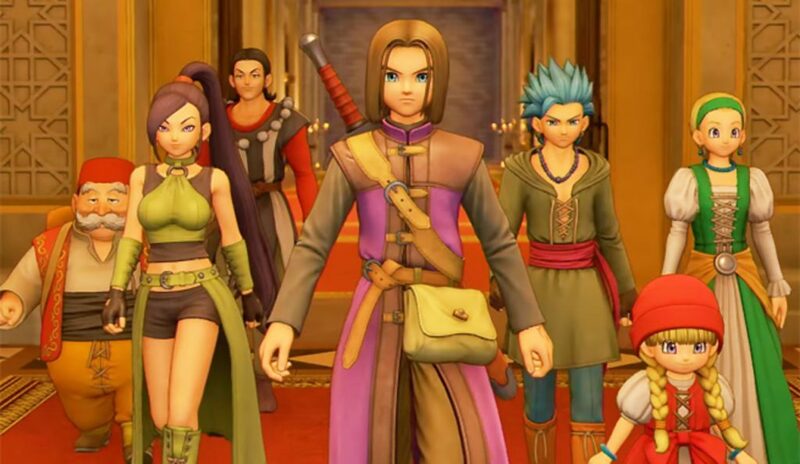 With JRPGs like Ni no Kuni and Persona 5 seeing recent success, we were interested in seeing whether Dragon Quest XI could maintain the series’ signature charm while making its foray onto current generation hardware, and by all accounts, it’s passing the bill. Two demos of the game were available at Comic-Con. The first one looked to be the very beginning of the game as the hero can venture around his hometown before making his way to the nearby kingdom to begin his quest. It was pretty loud in the exhibit hall, so despite the fact that I had headphones on, I couldn’t hear much going on in-game. The first demo was more about exploration and interaction with townsfolk, staples of classic RPGs, and all that felt about as natural as it gets. Then it was time to check out the world map, and it was fun running over slimes an other weak enemies with the horse. Bigger enemies forced us to go into battle, where we were met with Dragon Quest’s traditional turn-based battle system, which doesn’t leave us with much to say. It’s just your standard turn-based battle system. If there’s one thing to criticize though, it’s the fact that there are times where you don’t know when your turn is. There’s no menu indicating who’s next in line, and when one of your characters has to act, there’s no indicator aside from the fact that his or her avatar on the menu is slightly indented compared to the rest. That said, it’s easy to make mistakes like choosing to attack with a healer staff. The second demo took place a little later in the game, when you have a guest character in the group who you have no control of when you’re battling. Aside from exploration, the battle system was put front in center here as you go against one of the game’s bosses. I put easy work into it and took it out, but there really isn’t much to say about it. It’s a standard boss. Dragon Quest XI: Echoes of an Elusive Age is due out on the PlayStation 4 in September (with a Switch version supposedly along the way next year), and it’s something we’ll definitely be keeping our eye on. It’s just tough to tell whether this game will do much to push the envelope or set the standard for the genre, but we’re still very interested in seeing how it’ll all turn out.